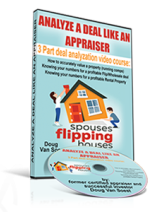 Welcome to Spouses Flipping Houses! 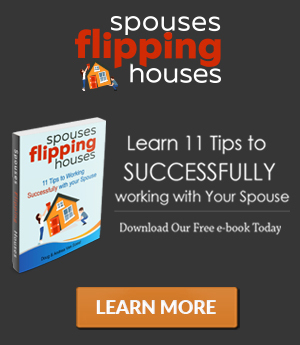 Working with your spouse (or loved one) can be the most rewarding, and the most challenging thing you’ll ever do. We have been blessed to work together as business owners for 14.5 of our 15 years of marriage. We are so thankful for this journey we have taken. Never in a million years did we expect this to be our life’s path when we began dating. We imagined that Doug would eventually become an architect, Andrea would be a school counselor and we’d put in our 40 hours a week, take our 2 weeks of yearly vacation and live happily ever after. But thankfully (THANKFULLY!!!) our best friend Erik gave us book called Rich Dad Poor Dad. While this book did not contain a magic formula, for us, it was a huge mind set shift. We began to think like entrepreneurs. And somewhere in there…our hearts shifted too. Working to build someone else’s dream was no longer an option. So, we’ve spent the last 14.5 years building dreams…and businesses…together! We’ve bought and sold over 500+ houses. We have learned a lot about what it takes to be a great partner and spouse, encourager and friend. While we don’t always get it right, we are always trying to. The challenges you will face working with your spouse can either make or break your relationship. Let’s shoot for making it! !